Crane-jumped for structures of any shape and height. This climbing formwork permits controlled, regular working cycles on all structures such as high rises, bridge piers and pylons. The system is easy to operate, copes with inclinations of up to 15 degrees and can be dimensioned to many different requirements over a wide applicational range. 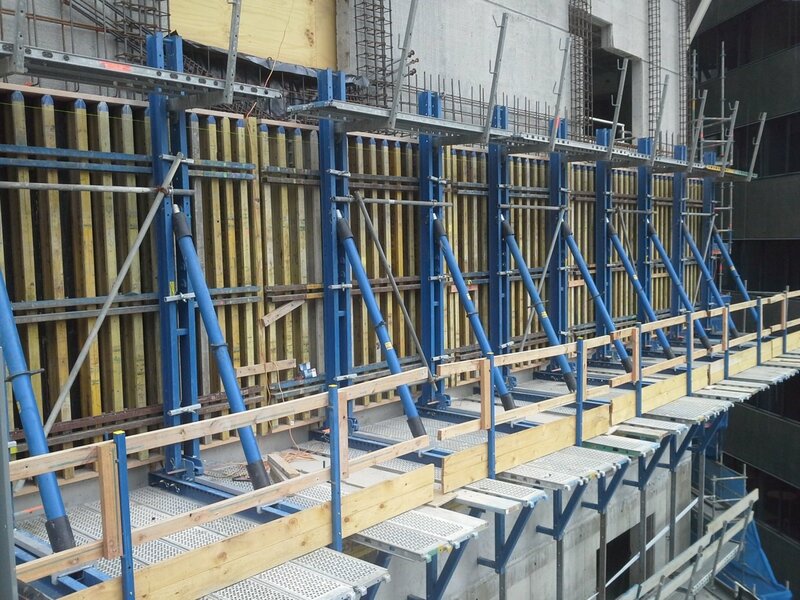 Where formwork has to be shifted upwards in successive pouring lift Acrow uses economical and world-leading Doka MF240 Climbing Formwork. This crane-jumped formwork is suitable for structures of any shape and inclination. Climbing formwork MF240 permits controlled, regular working cycles on all tall structures. It is extremely easy to set up, and can be tailored to meet a wide range of different requirements. • Suitable for beamed and framed formwork panels and formwork made of timber beams. The MF240 Climbing Formwork has a direct connection facility to Doka Automatic Climber SKE the most economical solution can be achieved for all layouts of buildings, piers or shafts. Complete safety in all phases of the work. Doka will be pleased to plan the most economical formwork solution for you, and partial pre-assembly of the formwork by the Doka Ready-to-Use Service will save both man hours and space on the site. from when the formwork is assembled to when it is first used, up to and including the typical operating sequence, and give the forming crew introductory training on site. 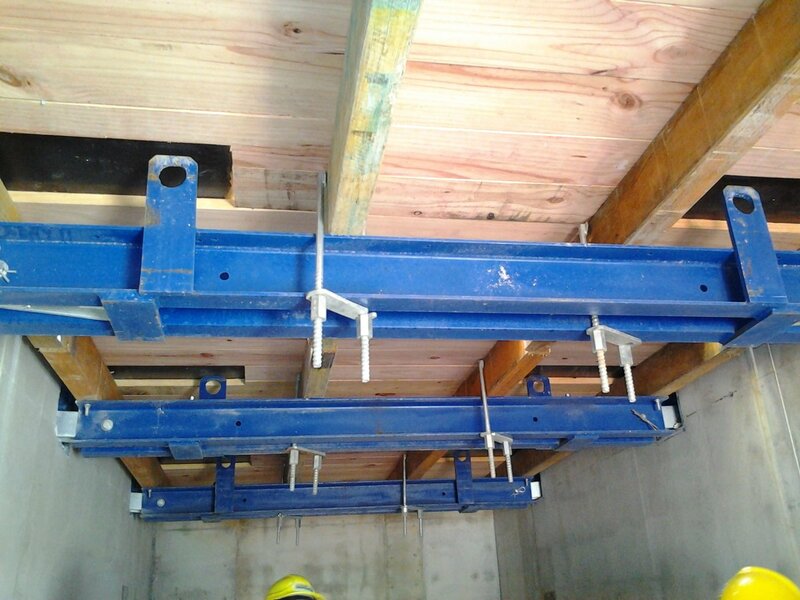 A climbing formwork for inside shafts, Shaft platforms permit quick and easy repositioning in just one crane cycle. This makes them a cost effective system for forming inside shafts. Facilitates attaching a follow-up platform. For all projects with single-sided application for multi-story concrete walls without formwork anchors. Dam formwork can be rapidly constructed, allows project specific solutions and creates a safe working condition for all stages of the job.